September is one of the best months to visit Spain, particularly because the weather is starting to cool down and there will be slightly fewer tourists than in July and August. There are a number of festivals and events to check out throughout the country in September. Catalonia is probably the best place to visit in Spain in September, with the Festa de la Merce and the Birraso Beer Festival in Barcelona and the Festa de Santa Tecla in Tarragona. Grape stomping, the traditional treading on grapes in wine production, usually takes place in late September or early to mid-October. The Rioja Grape Harvest Festival in Logrono called the Fiestas de San Mateo y la Vendimia Riojana is a top spot for grape stomping. Another major highlight in Basque Country in the northern part of Spain is the San Sebastian Film Festival. Many actors owe their success in film to this annual meet which was established in 1953. The San Sebastian Film Festival is one of the most important film cinematic celebrations in the world. It is such a huge draw that iconic actors like Bette Davis, Elizabeth Taylor, Robert Deniro, Meryl Streep, and Brad Pitt have attended. It was the official site of the European premiere of "Star Wars." 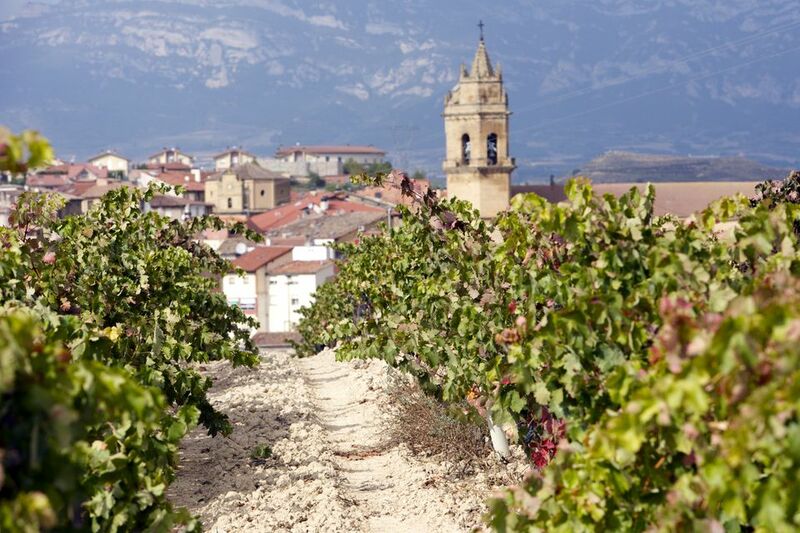 Logrono is the capital of the world-renowned wine region of La Rioja in northern Spain. Each year, during the first harvest of the grapes, Logrono hosts the feast of San Mateo. Paseo de Espolon is at the heart of the city, where you can enjoy the main festivities and the ceremony where grapes are carried from the local vineyards by children and poured into large wine barrels. The grapes are then pressed by men dressed in traditional clothing in a large wooden tub. You can join the rest of the town by eating and watching live theatre, music concerts, or bullfights. La Merce festival, so named in honor of the Roman Catholic feast day of Our Lady of Mercy, is the biggest festival in Barcelona. It includes numerous live concerts, parades, fireworks, and the famous human towers, the Castellers. This festival is Barcelona’s way of ushering in autumn with more than 500 fun activities including music, arts, acrobatic shows, and street processions like the giant's parade featuring giant effigies of kings, queens, and nobles that are marched through the streets. The Birraso Beer Festival, also known as Cervesa y Tapas, is a fun and unlimited beer drinking event for the party goers. It is a three-day beer festival that showcases beer culture, the craft of beer, and you can sample over 450 types of beers at the festival. The best way to learn about Spain’s past is to indulge in Tarragona’s Santa Tecla festival. The celebrations feature rock and jazz music, drama plays, movies, sports, and parties that highlight Spain's history. The main features of the festivities are the regional dances, which are full of flourish and excitement. The Bienal de Flamenco, or biannual flamenco festival, is celebrated every other year (in even years, 2018, 2020, and so on) in Seville, Spain, in different theatres of the city. This festival features dancers, vocalists, and guitarists performing pure flamenco and innovative new works with flamenco flair. The Diada de Catalunya is a day-long festival where Catalonians display pride in their province. As you walk through the streets amidst thousands of people you’ll learn a thing or two about why they want independence and listen to people’s opinions first-hand. At the Diada de Catalunya, you will experience what it’s like to be from Catalan. Inspired by the Tour de France, the Vuelta a Espana, is one of the biggest cycling events that usually starts in Malaga, passes through the Pyrenees, and ends in Madrid. You can enjoy watching hundreds of cyclists at this annual three-week, multi-stage bicycle race. The Entrada de Toros y Caballos is a festival that features the taunting of bulls by men on horses. The event honors the longtime celebration of bull and horses, which are valued for farming and help with daily life chores in Segorbe. This annual festival starts every second Saturday of the month of September and runs the whole week. The Fiestas del Motín in Aranjuez is a yearly outdoor festival that is a dramatized recreation of the 18th-century rebellion of local peasants from the region. It features the witchhunts depicted in Francisco de Goya's paintings, Goya-esque bullfights, and sports activities for the family. Although the Fiestas de Moros y Cristianos is celebrated in most parts of Spain, the re-enactment of battles between the Moors and Christians during the 13th century is given more importance in Valencia and Alicante in the South. Other parts of Spain celebrate this on other months but mostly the event starts around August and ends in September. The festival of the Moors and Christians dates back to the 16th century. Streets are decked out reflecting the Medieval time period. There are magnificent processions and exciting mock battles that thousands of people enjoy year after year. With a large number of Roman Catholic followers in Spain, you should not be surprised by a lot of patron saint festivals in the country. Every first week of September, the patron saint of Mijas, in Malaga, Spain, is celebrated. The Virgen de la Pena is celebrated with various activities such as cultural presentations, sporting events, musical programs, flamenco dance, and other fun activities. In Segovia, the Hay Festival Segovia is an international literary festival that is annually hosted in multiple locations throughout the world. It is the largest and most respected literary event in Spain in September. Hay Festival brings together Nobel Prize-winners and novelists, scientists and politicians, historians and musicians to talk with audiences in a dynamic exchange of ideas. The festival inspires, examines, and entertains.